Hope you haven’t spent all your money guys, as this Friday, November 27th is your lucky shopping day. 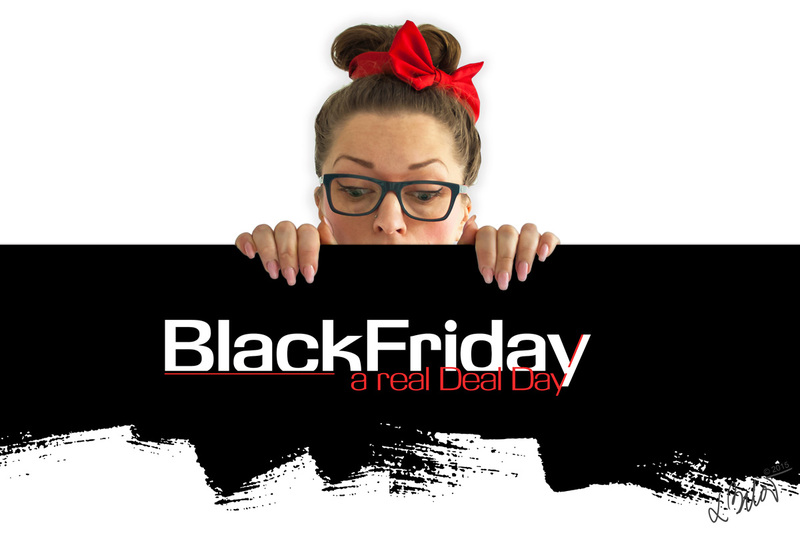 Get ready for a real Deal Day – Black Friday! The day full of savings online & in-store. Find your perfect deal online or in-store. Shopping spree is here! If you have no idea what I’m talking about, Black Friday is a big American shopping event offering huge savings on pretty much EVERYTHING! Since the early 2000s, it has been regarded as the beginning of the Xmas shopping season in USA. In a last few years it exploded across the rest of the world. In a short time the sales managed to shot through the roof, across all industries. The UK will go deals-mad for 24 hours! So have your wallets ready – its SHOPPING TIME! The annual shopping bonanza has been a huge hit in America for years, but now it’s HERE too! Mad day of huge discounts as more & more UK retailers getting into it. Best time to look for a new AW outfit OR Xmas present! Sales usually lasts for a whole weekend. Shop. Save. Smile. Repeat. From my experience in London – it’s more of an online-shopping Deal Day… haven’t seen many stores participating, which is shame :) Take a look on some links which will take you directly to the heaven of deals! The best shopping place EVER Amazon! You can buy EVERYTHING & have it delivered directly to your door! Literally! Also check: Tesco, John Lewis, Debenhams, M&S. Black Friday Deals – return tickets to NY just for £420, Sydney for £700, Check it out & book your next holiday in 2016! A perfect opportunity to get advantage of all best deals right before Xmas & get that perfect present for your loved-one or for your self! Enjoy & see you soon! Amazon – Find great deals in electronics, video games, clothing & bmore!